Running our homes comes at a huge cost, both financially and environmentally, which is why it’s important that we’re sensible about the amount of energy we use. The average household spends over £1,200 a year heating and powering their home. There are many other ways to keep costs down in your home, which will save both money and hopefully the environment. Do you know what tariff you’re on? Do you know if it’s a fixed or standard rate? While you may have entered into a fixed deal at the start of your contract, you might now be on a standard tariff after switching over from the initial contract period, meaning you could be spending a lot more than you need to. When energy companies swap you over from their fixed rates to their standard rates, this is when bills start to become more expensive and when energy providers start to make real money. Ensuring you’re not paying over the odds is sometimes as easy as logging into your account and choosing a cheaper tariff online. Plus, there are plenty of comparison sites out there that will help you find the best deal. If you’re a tenant, make sure you don’t continue on the same tariff as the previous tenants, as chances are you’ll be on a standard rate after a period of more than 12 months has elapsed. By 2020, every home in Britain will have been offered a smart meter by their energy supplier. A smart meter links up to your gas and electricity meters and monitors your actual energy usage, meaning you don’t have to submit meter readings to your supplier and get an estimate for your overall energy usage. This way, you will only pay for what you actually use and could save you could save money compared to relying on an estimate. Many of us leave lights on, have the TV blaring even though we’re in the kitchen and never switch plugs off at the wall – especially phone chargers – meaning we’re wasting energy that we’re not using. Closing doors and even curtains helps to stop heat escaping from the room, while moving large pieces of furniture away from radiators will help to heat up the room and stop it from being absorbed. If you live in a property with spare rooms, or rooms that you don’t use very often, turning off radiators or putting them on a low heat will save you money too. Heating your hallway and landing may also be using energy unnecessarily, as they’re often big spaces to heat. You can save electricity immediately by turning gadgets off at the plug. Games consoles and televisons are the worst offenders – leaving these on standby can add some serious heat to energy bills.Turning appliances off at the plug could save an average of £30 a year. These annual savings can reach between £50 and £80 for households with more gadgets. Swapping old bulbs for LED ones could save you a huge amount on your bills each year. Most kitchen and bathroom spotlights use halogen bulbs – rooms that are used a lot in your home – that are expensive to run, so it could be worth looking into LED alternatives. LED bulbs cost less than a fifth of a halogen bulb to run and their lifespan is 25 times that of a normal bulb. An LED bulb’s lifespan is also 2.5 times that of the energy saving bulbs that have become popular in recent years, although they are more expensive to buy. However, the initial cost is outweighed by the savings you will see in your monthly bills. As the nights get colder, it may be tempting to turn up your thermostat. But before you do, you should be aware how much heating your home costs. 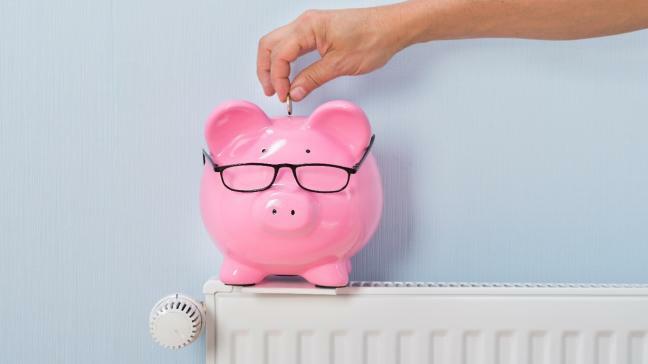 Research from the Energy Saving Trust predicts that you could save £80 a year by turning your thermostat down by just one degree, as 60% of our energy bills are spent on running the boiler. It's unlikely you'll notice the difference in temperature when turning down the thermostat by one degree, but you will in your pocket at the end of the month. Most homes, especially older ones, lose heat through draughts. They can also stop a room feeling snug when it gets really cold. A quick and easy way to save energy is to use draught excluders for doors. You can also buy a simple draught-proofing kit from most DIY stores that you can easily fit yourself. Block cracks in floors and skirting boards, line your letterbox and block an unused chimney to reduce your heating bills. If you don't have double glazing, you can buy plastic lining for your windows to save energy and keep more heat in. You could save even more energy if you insulate your roof and stop heat escaping from your house. It’s worth considering employing someone to do this if you want to use your roof space, because this makes the process of insulating the roof more complicated. While insulating your loft can cost several hundreds of pounds, it can have a wothwhile longterm effect on reducing your heating bills.